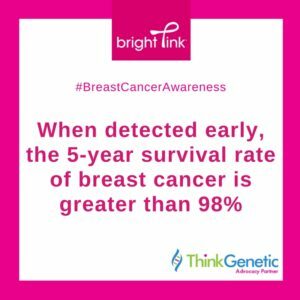 Bright Pink®, a U.S.-based non-profit organization focused on prevention and early detection of breast and ovarian cancer in young women, has become the newest member of ThinkGenetic’s growing Advocacy Partner Program. This partnership will boost awareness of complimentary resources available from both organizations and further their parallel missions to help families. As part of the program, when friends of Bright Pink register at ThinkGenetic.com they earn ThinkPoints that can be donated to Bright Pink in the form of cash. Bright Pink aims to reach the 52 million young women in the United States between the ages of 18 and 45 with innovative, life-saving breast and ovarian health programs, thereby empowering this and future generations of women to live healthier, happier, and longer lives. 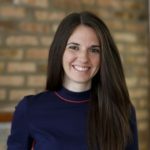 In addition to the announcement, ThinkGenetic will be highlighting breast and ovarian cancer utilizing Bright Pink resources in September (Ovarian Cancer Awareness Month) and October (Breast Cancer Awareness Month) as part of its ongoing commitment to increasing awareness of genetic conditions and partnering with patient advocates.